If you are new to the world of SMS marketing there are certainly a number of terms that you may not be quite familiar with. It is difficult to fully understand SMS marketing if you are unfamiliar with the terms that are presented to you. But we’re here to make life just a little bit easier, breaking all of those terms that you may here while SMS marketing down so you know exactly what is going on. Advertisement – We are all pretty familiar with an advertisement. It is an arrangement of text, graphics, or multimedia content displayed and accessible inside of an application for the purposes of promoting a brand, product, or service. A text message marketing campaign is a form of advertising. Branding – The process by which the identity of your brand is developed within the market; it is also a marketing strategy or campaign objective. Branding your company means building a name for your company. Carrier – A carrier is a mobile network operator that helps deliver phone service to a cell phone. Common Short Code – Short numeric numbers that text messages can be sent to from a mobile phone. Wireless subscribers send text messages to a common short code with a relevant keyword at which time they are offered a wide variety of mobile content. Confirmed Opt-In – A confirmed opt-in is a process that is used for verifying a mobile subscriber’s intention or the subscriber’s explicit agreement to participate in a mobile program such as SMS marketing. 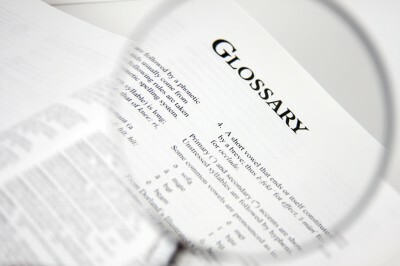 Keyword – A word or name used to distinguish a targeted message within a specified short code service. Messaging – Messaging is the process of sending text words or photos to a subscriber who has opted in to receive your messages. Mobile Advertising – A form of advertising that is communicated to the consumer via a mobile device or smartphone. Mobile Marketer – A mobile marketer is an individual utilizing mobile phone devices in order to market their product or brand. Mobile Marketing – Mobile marketing the practice enabling organizations to communicate and engage with their audience in an relevant and effective manner through any mobile device or network. Mobile Message – An SMS message that is sent to a mobile device. Multimedia Message Service (MMS) – Messages that include some form of multimedia content such as photos or videos to and from mobile phones. Opt-In – The process in which a subscriber provides explicit consent, after receiving proper notice from the consumer. Opt-Out – The process in which a subscriber eliminates their consent after receiving notice from the mobile marketer. Redemption – The percentage of consumers that actually take advantage of a particular offer. SMS Message – A message sent via a Short Message Service (SMS). It is commonly known as a text message and is limited to 160 characters or less. Short Code – Short codes are a special type of phone number designed to work with Short Message Service (SMS) and Multimedia Message Service (MMS) messaging. Short Message Service (SMS) – A standard for telephone messaging systems that allows the sending of messages between mobile devices that consist of short messages, normally found with text only content. Standard Rate – Programs or messages that are available at no cost may still result in charges. This is the normal text messaging charges applied from the mobile subscriber’s wireless service company and appear on the regular monthly bill. Unsubscribe – When you unsubscribe you are opting out of a mobile subscription service.